I wrote recently in a column how Mother’s Day is of greater significance to me these days than my own birthday, since it came to me through a labor of love and sacrifice, whereas my own birth and life can be attributed to MY mother’s (and father’s) love and sacrifice. To all of you mothers, spiritual and earthly alike (that covers every female who has ever nurtured another), I hope you had a most wonderful day. It’s a time to celebrate the lives we’ve lives we’ve been given and, because of that, helped to create. I hope you enjoy my Mother’s Day weekend visual tour! The beautiful weekend began with a handmade invitation. This is the fifth such invitation I’ve received, and likely the last now that my baby has reached first grade. 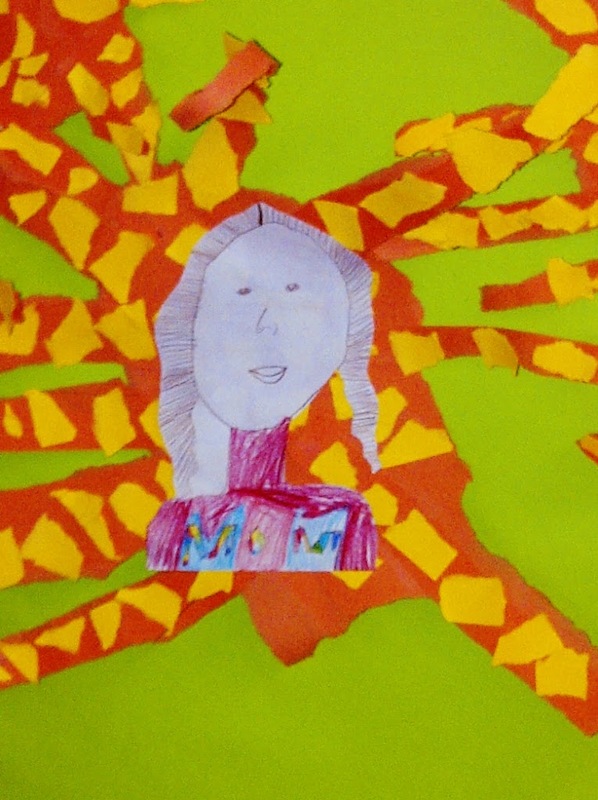 The May Crowning (of Mary) and Mother’s Day Tea organized by Mrs. Eppler and the first-graders at Nativity school is, and will forever be, one of my most cherished memories of motherhood. 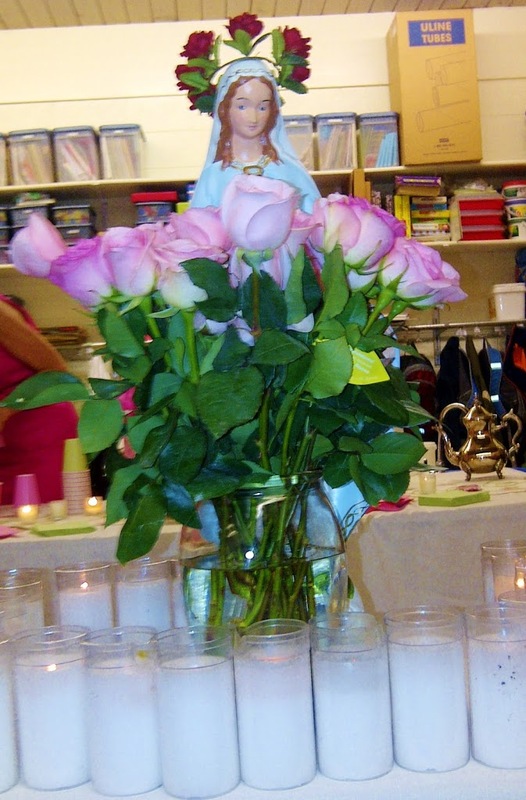 The event includes being greeted in the hall by your child holding a rose, led into a candle-lit room, seeing the children dressed in their Sunday best and reverently singing and praying, watching them sweetly doing sign language to “Mary Did You Know,” being treated to tea and cookies, handmade gifts and the grand finale – a slideshow of the kids’ whole year…wow. 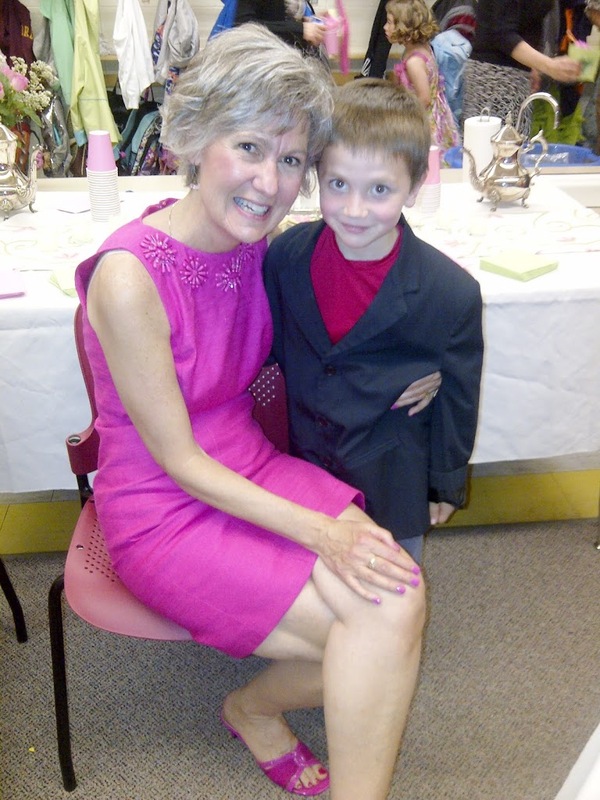 Mrs. Eppler prepares for this day all year long and it’s such a gift to us mothers. There’s never a dry eye by the end. 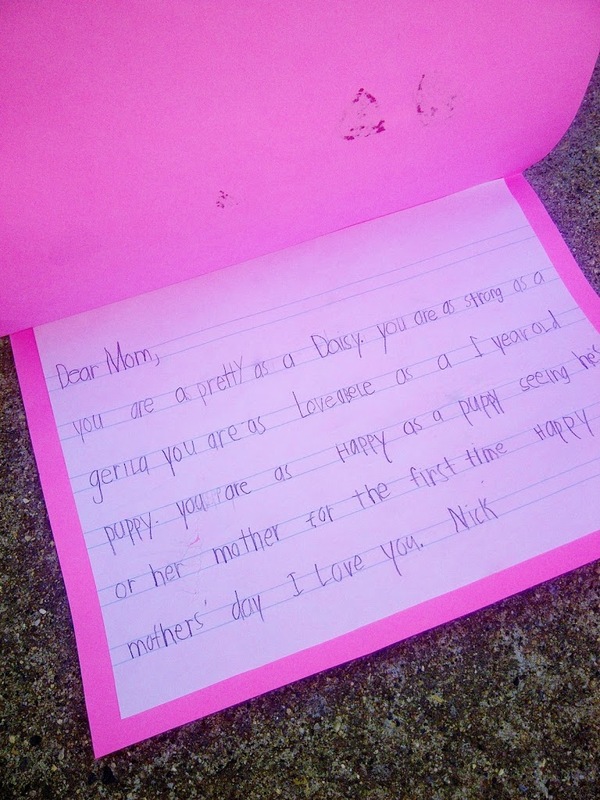 “Mom, I love you to heaven and back,” was Nick’s ending contribution in the video part of the show. (Did you hear that? It’s the sound of my heart melting…) This event has helped raised my appreciation even more for the gift of motherhood. Included was a cork board filled with portraits the kids had done of their mothers. Here’s Nick’s depiction of me. I love his rainbow-colored “Mom” label. He also was very detailed with every strand of hair. 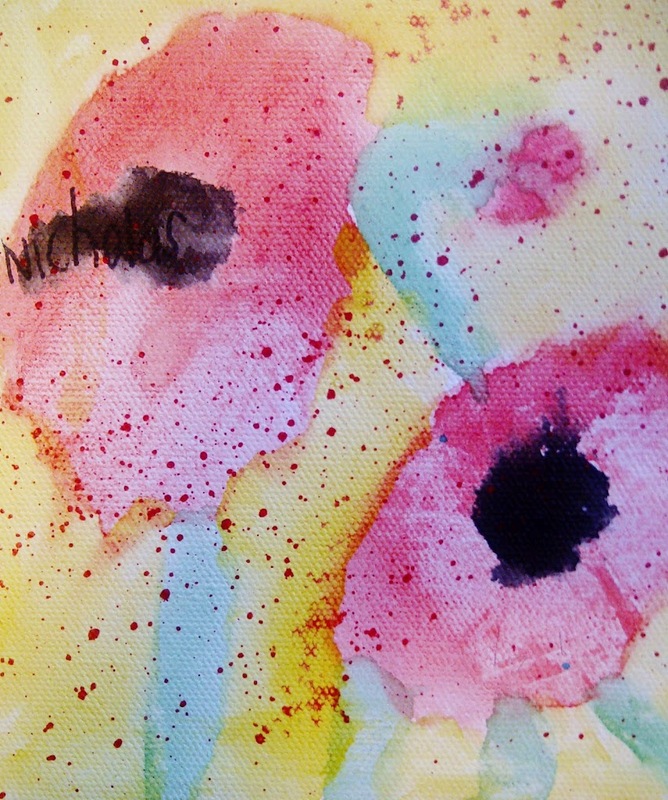 This poppy painting on canvas was one of the gifts I received, along with a copy of the slideshow on compact disc and a homemade card. 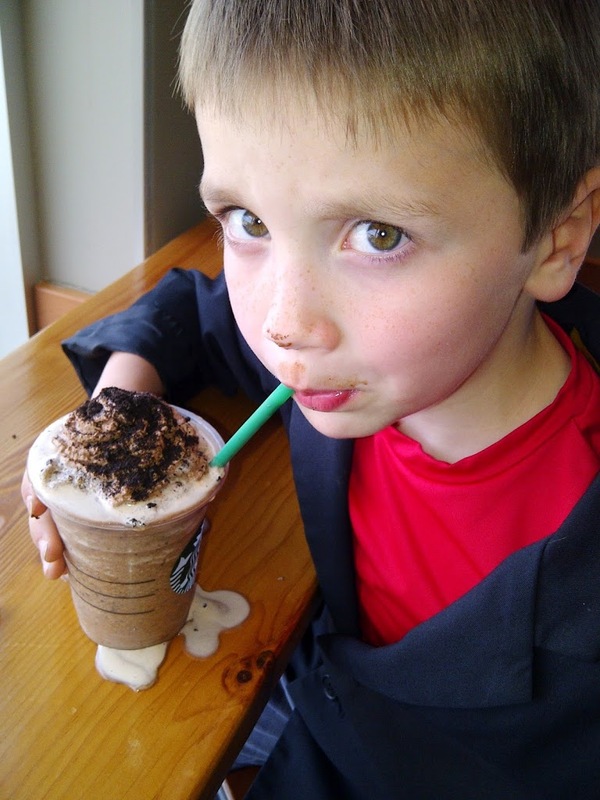 I promised Nick we’d go out for “after tea coffee” in the hour before school let out that followed the event. He enjoyed every sloppy sip. A dear mother friend, who has been like a spiritual mentor to me, is one of the most thoughtful people on the earth. She sent this a few days prior, despite the fact that her son was about to undergo major surgery. 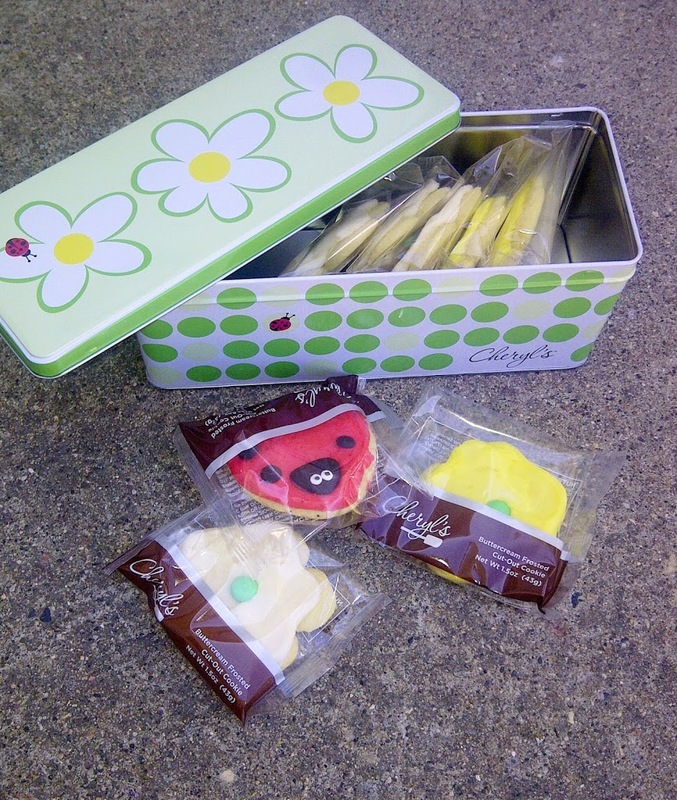 Ladybug and flower cookies…yum! A mom doesn’t rest long. 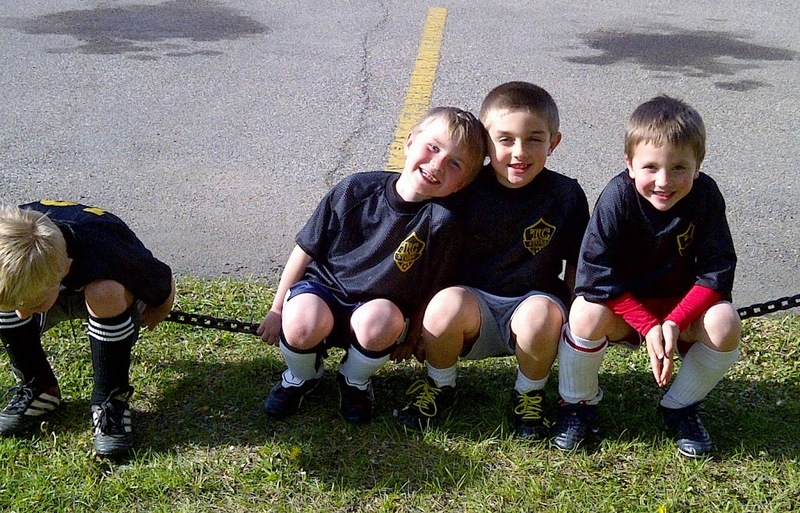 Before heading into the weekend, which promised more surprises and fun, we had to get ready for soccer pictures and practice Friday afternoon. Right after that, it was time for my sweet friend Betty’s graduation party. This Ethiopian native realized a longtime dream and now has her master’s degree! Two of my lovely friends reached the grad-degree milestone this year. I am so proud of Betty and Mary! 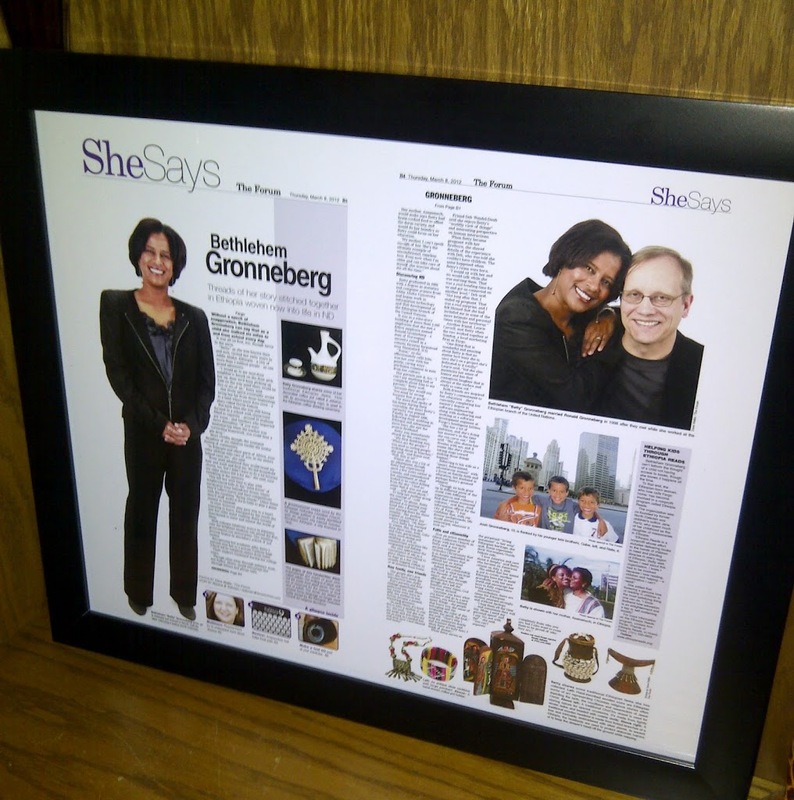 At her party, Betty had the article I wrote about her a few months back displayed and framed. I was tickled to see it and know I’d helped create something that will be cherished. Saturday night, my friend Reta and I met out on the patio at Monte’s restaurant downtown Fargo. 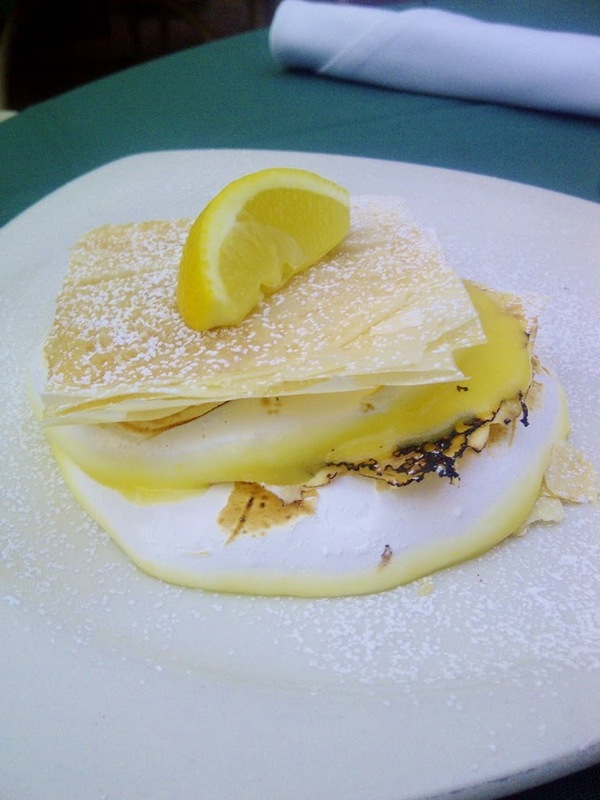 We shared two desserts — chocolate creme brulee and this lovely lemon layered delicacy. 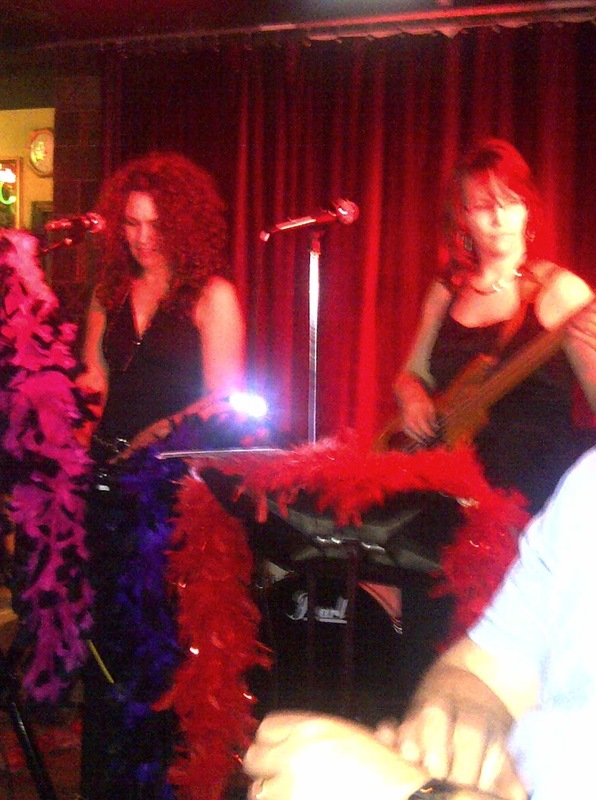 We found out the day before that a mama friend, Monica, and her sister was playing/singing downtown, so we wandered over there, too, making our way through the crowd of zombies in town for the Zombie Crawl. It made for an interesting outing, and we had front-row seats. 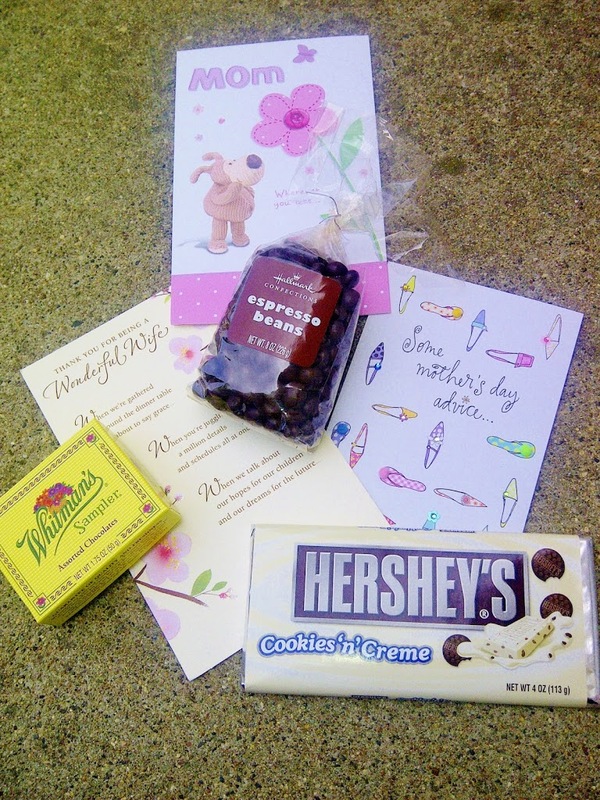 Mid-morning, and not a moment earlier, my younger four kids came into my room to share more treasures, starting my morning out right with chocolate-covered espresso beans, a cookies and cream Hershey’s bar and an assortment of cards. The one Olivia picked out says: “Some Mother’s Day Advice…Sometimes the best thing to do is just look in the mirror and say, ‘What shoes go with this stress? '” Cute, and true. My youngest had a $10 bill, a rarity to him. 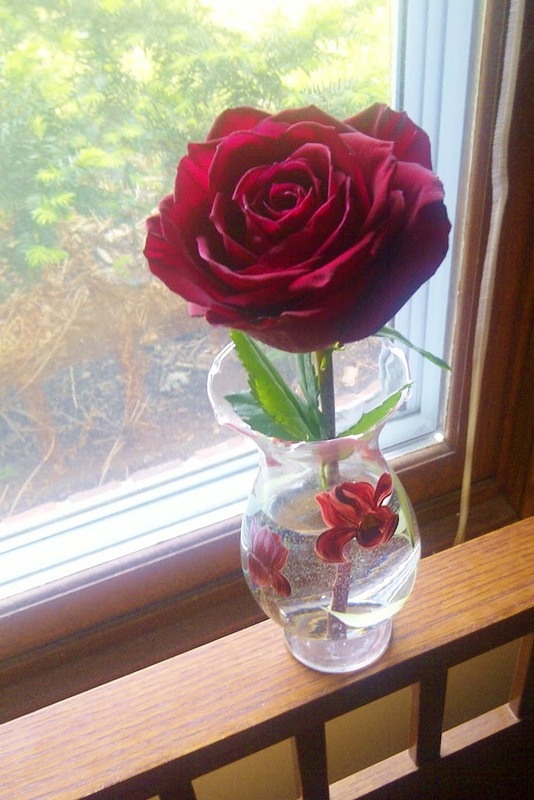 He chose to use his own money to buy the candy bar and this rose, which, to me, says “I love you Mom” like nothing else. And here we all are on our new couch, which was delivered on Friday. 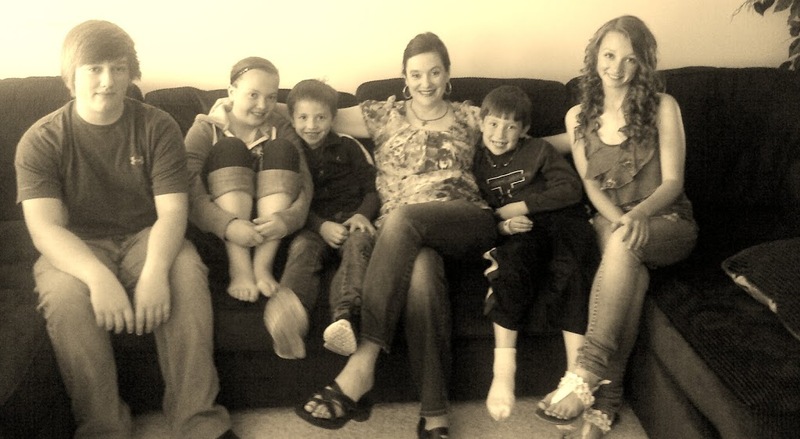 Finally, a couch that will accommodate all seven of us for Family Movie Night! I am one blessed mama! Thanks, Mom, for giving me life, so that I could in turn give life to others. This is so full of love, its simply palpable. its like you were able to turn your heart inside out and put into words for all of us to know. What a treasure to have these memories so lovingly chronicled here in this way! Love and blessings to you Roxane! WOW! This is one of my favorite posts of yours, although, as you know, I love them all. I’m so glad you had a wonderful weekend. I was thinking of you! Many beautiful treasures and memories, Roxane. Thanks for sharing them.